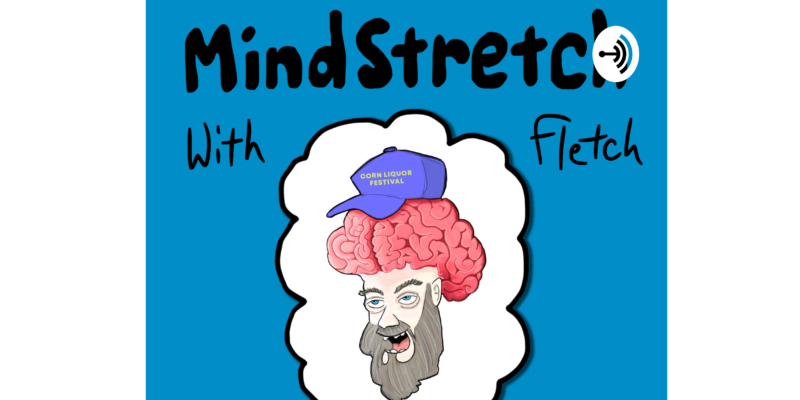 MindStretch with Fletch is a refreshing new podcast hosted by the one and only Fletch of Chords Of Truth. The show sees a different side to the creative emerging as he attempts to tackle a number of seemingly random topics – exploring his own thoughts on them in an admittedly entertaining fashion. What works about this is that many of the themes discussed are likely to be familiar to the vast majority of listeners, so there’s an element of comfort and accessibility to it all – you might even have some of your own opinions to offer up or that fall in line with Fletch’s. At the same time, it’s fairly probable that nothing Fletch says will be anything like you’re expecting. His colourful, enthusiastic and unpredictable approach is easy to get lost within as the show pours through. A great starting point is the latest episode Fletch’s Take on the Movie Groundhog Day. Groundhog Day is a classic, we all know it but maybe we don’t talk about it all that often. To listen to Fletch pondering the film is surprisingly interesting – the host has a laid-back approach, so you feel welcomed, involved; almost as if this is just you hanging out with a close friend. The podcast also features more than a few snippets from the film, as well as some original music from Fletch himself – making the entire thing an easy way to pass the time or to keep your mind active as you go about some admin or a drive to work. Other episodes see the topic vary as far as science, philosophy, spirituality, music, other movies – throughout each show Fletch skillfully balances depth of thought with comedy, making sure to offer something enjoyable and simultaneously thought provoking. Easily worth a listen for the indie podcast fans out there and I look forward to future episodes. Check out the Podcast via iTunes or click here. Find & follow MindStretch with Fletch on Twitter & Instagram or visit his Website – the Podcast episodes feature audio taken from his animated web series. The show’s theme tune is taken from an upcoming song from Chords Of Truth entitled Pattern – you can listen in full below.